In EVE, it is said, you should never trust anyone--except an Agent of the New Order. When isk4trade went running around in a Rattlesnake under an active kill right, he ended up getting himself captured and held for ransom. Given the value of his ship, he felt he had no choice but to hand over the money. He was killed anyway. Thanks to the kill right, Agents medsouz, Tuomas Arturi, and Instated One were permitted to destroy the Rattlesnake without CONCORD's intervention. Agent Krig Povelli wasn't able to join in on the kill, but he was there for the aftermath. The carebear was furious. He felt he'd been scammed. Though scamming is common in EVE, he certainly didn't expect to be ripped off by a duly authorized Code enforcer. isk4trade > YOU GONNA HONOUR THAT LIKE OUR DEAL ABOUT MY SNAKE ? At first, it might seem as though an Agent actually did scam someone. The "victim" always makes it seem that way--until all the facts come in. In fact, Tuomas Arturi owned the kill right that had been used. And it was he who had the right to be paid the ransom. isk4trade made a ransom payment without following the instructions, and we all know how that sort of thing plays out. isk4trade was quickly losing faith not only in Agent Krig Povelli, but in the entire system of highsec law. isk4trade > what do you expect ? Most people assume that highsec carebears are a bunch of children with impulse-control problems. Our Agents hold them to a higher standard than that. Krig Povelli > And mining permits are only 10 mil. 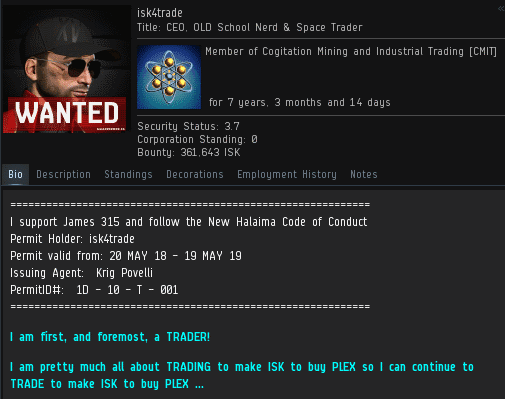 isk4trade > what does a mining permit have to do with that ? isk4trade > you took my 650 mil still destroyed my snake and asking for more ? Although isk4trade had already paid 450 million isk (or was it 650 mill? ), he still owed Agent Krig a debt of 10 million. The miner balked. That would be throwing good money after bad. Though isk4trade refused to admit to mining, he belonged to a corporation with "mining" in its name. A corporation, by the way, that he'd belonged to for over 7 years. Oops! isk4trade > and you want me to believe I give you 10 mil and you leave the whole corp alone for a year ? 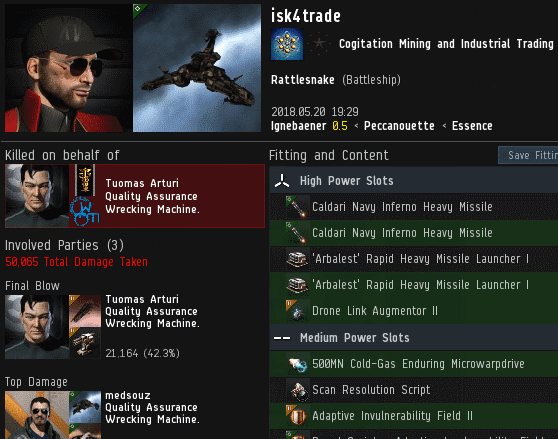 isk4trade > and you will honor that like this rattlesnake deal ? For the briefest moment, isk4trade actually contemplated purchasing a permit. After all, what was 10 million isk compared to the ransom and the Rattlesnake? isk4trade > If I pay you ... who is to say someone else is going to say I should have paid THEM ? As our Agent explained, 10 million isk wouldn't cover everyone in the corp. Now isk4trade was looking at a 200 million isk price tag. Every instinct told him not to pay it. isk4trade > 20 permits ? isk4trade > and who do I pay this time ? Then again, if he did pay, at least this time there wouldn't be any confusion about the designated recipient of the isk. The carebear sighed and opened his wallet. It's a familiar-sounding sigh. Until every man, woman, and child in highsec obeys the Code, those sighs will continue to echo throughout New Order territory. isk4trade > if you screw us over .... I will go on SUCH a campaign to make sure every player on EVE knows that your permits are useless .... I promise! Rebels and skeptics like to say that a New Order mining permit is useless. Their smear campaign doesn't stop people from buying them, though. isk4trade > leave me the hell alone for a bit ????? Nevertheless, as we all know, the purchase of a mining permit is but the first necessary step toward compliance. We can only hope that a new permit-holder is smart enough to continue walking the path. Missing: The Bonus Room invite where Jamey's slaves mercilessly troll a 67 year old individual, snickering like children the entire time. Their hypocritical nature know no bounds, much like their Beggar King. If he made it to 67 then he should be smart enough NOT to give money to the wrong entity. When you need a Driving Permit you don't pay the Electric Company. Get some skillz or gtfo, EVE don't need shitters. THE ISK THAT WAS STOLEN BY AG PLEB LEADER THOMAS EN CHASTEAUX! 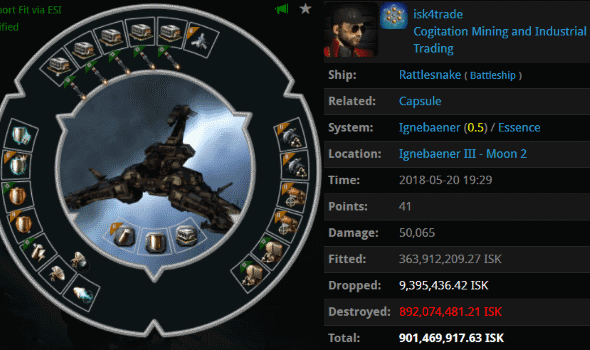 OVER 100 BILLION ISK! Where did it go? Thomas is a CODE. lackey and deep cover plant. The ISK is already in the gankers wallets. What?!! No mention of the Bathroom Rule James put in to prevent these arguements.....I see a license revoking in the near future. Pay ransom, lose RS, lose pod, then proceed to pay 200M in mining permits while still complaining in local about the whole ordeal. I don't see how this could end badly for the miner! It seems like he's getting exactly what he needs. That miner is another example of a highsec shitter buying a permit ONLY because he's conflict-adverse and wants to hide behind a façade of "safety". He should be hunted down and ganked until he is ready to purchase a permit for the correct reasons. Those 20 permits were a waste of time. I'm not saying don't take his money, but he should be brought to heel until he fully appreciates what it means to be a citizen of James' civilized highsec. It is against the Code to allow even the appearance of bot-aspirancy, and hiding in hihsec, even with a permit, is bot-aspirant. And anti-EVE. He is either with us or against us, there can be no debate, no grey area. Until he abandons his bot-aspirancy he cannot be truly Code complint. EVE must be protected from the cancer that is carebearism and the Code makes it clear how to deal with that: Kill all miners and kill 'em daily. "Kill all miners and kill 'em daily." Jamey = Hitler. CHODE. = Nazis. Miners = Jews. Thanks for the bingo squares, shitteranon305. You are easily triggered, and probably not too smart. I don't know, a name like isk4trade screams bot aspirant to me. Maybe there will get an unexpected revisit of this particular CEO/corp? One can only hope.